The Harbor Group is a wealth advisory team that provides personalized investment and wealth management services to a select and sophisticated clientele comprised of wealthy families, senior corporate executives, corporations, pension plans, foundations, and endowments. 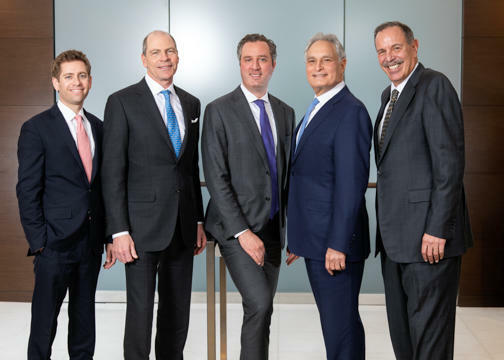 Our founding partners, who average 30 years of financial advisory experience, have guided clients through some of the most turbulent, as well as the most profitable, economic and investment time periods in our history. We believe that one size does not and should not fit all. Therefore, we employ a comprehensive wealth management process designed to help us understand not only our clients’ financial lives, but their personal lives as well. The result is a customized and tailored investment plan that draws on some of the best-in-class, independent investment managers plus the global capabilities of Morgan Stanley capital markets. 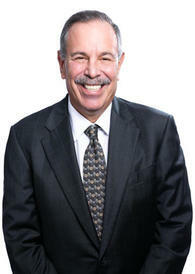 Jeff is a founding partner of the Harbor Group at Morgan Stanley, a Family Wealth Advisory Team located in Manhattan. 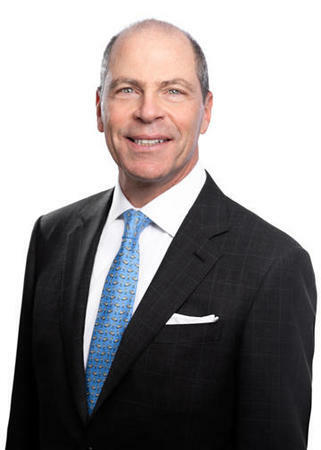 Jeff provides personalized investment and wealth management services to multiple generations of affluent families, senior corporate executives, corporations, pension plans, foundations and endowments. By understanding the importance of client comfort and providing a confidential environment for clients to discuss their financial concerns, Jeff is able to develop a personalized strategy that will help provide for a financially secure future and help enable clients to reach their goals. Jeff is able to provide clients with advisory services that extend beyond investment management. The global capabilities of Morgan Stanley capital markets as well as direct access to premier trust, estate planning strategies, philanthropy, lending and insurance planning services allow him to accomplish this goal. Jeff currently lives on Long Island with his wife Sara. In his spare time, Jeff can be found tending his vegetable garden, spending time with his family in Fire Island, and giving back to those less fortunate. 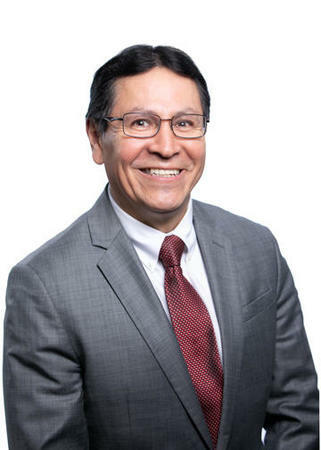 In addition to volunteering for Habitat for Humanity, he serves as the Vice Chairman of the Board of Directors for the Institutes of Applied Human Dynamics (IAHD). Jeff’s efforts were recognized by Morgan Stanley in 2014 when he received the Community Leadership Award at the firm’s President’s Council. Most recently, Jeff was named to the Financial Times 400 Top Financial Advisors in America, as well as Forbes Best-In-State Advisors for 2018. John Vessa is an Executive Director-Wealth Management at Morgan Stanley* who has been with the firm for the past 32 years. As a designated Family Wealth Director, John is one of a select few financial advisors recognized by Morgan Stanley* for their experience and knowledge in providing wealth advisory services to some of the firm’s most affluent private clients and corporate executives. John is a member of Morgan Stanley*’s 2019 President’s Club. Along with Wealth Management, John's team focuses on cash management services for SPAC (Special Purpose Acquisition Company) trust accounts. John has been named to Forbes Magazine’s annual list of America’s Best in State Wealth Advisors (Forbes, Feb 2018 and 2019). John’s team, The Harbor Group at Morgan Stanley*, was recognized for three consecutive years by Research Magazine’s national survey, “The Winner’s Circle Winning Teams”, which ranked the top financial advisor teams in the United States* (2006-2008). 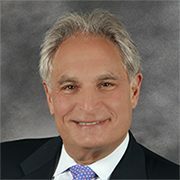 After beginning his career as a Certified Public Accountant at Arthur Anderson & Co., Inc. (however, does not perform this function at Morgan Stanley*), John served as VP- Finance for BJK&E advertising agency (now part of the Interpublic Group). John is a Certified Investment Management AnalystSM through IMCA and the Wharton School of Business as well as a CERTIFIED FINANCIAL PLANNER™. A native New Yorker, John currently resides on Long Island where he and his wife have been involved in a variety of community and charitable activities. When not counseling clients, John enjoys travel, golf, music and sports. Steve learned the inner workings of the financial services industry by working side by side with traders and bankers. He is able to draw on this insight and his years of investment experience in serving a clientele that includes business owners, corporate executives and wealthy families. Steve graduated from Columbia University with a Bachelor of Science in Economics and a Master of Arts in Teaching. Steve is extremely active in his community. He is a past president of School Board 27 in Queens. Steve also has served as Chairman of the Board of the Breezy Point Cooperative. After Superstorm Sandy devastated his community, Steve founded the Breezy Point Disaster Relief Fund, a 501c3 charity, to assist the residents in returning to their homes and provide funds to rebuild the community’s infrastructure. Steve is a member of Morgan Stanley 2017 President Club, a distinction awarded to some of the top Morgan Stanley Financial Advisors. Steve and his wife live in Breezy Point and are the proud parents of three daughters. As a Harbor Group Partner, Jeff manages investment strategy and provides lead relationship management for our clients helping to ensure a high quality client experience. He holds numerous financial licenses and designations including Certified Financial Planner and Chartered Retirement Plan Specialist. Jeff is committed to providing objective and comprehensive advice as well as developing strategies based solely on our valued client’s needs. Jeff focuses on personal wealth advising, strategic asset allocation, and advanced estate planning strategies. 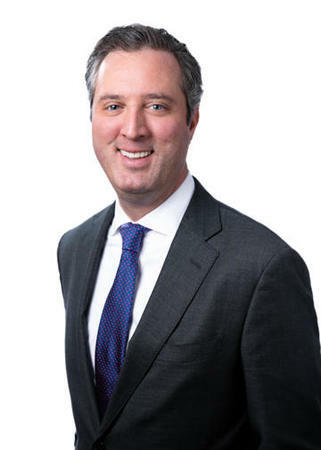 He leverages both Morgan Stanley and the Harbor Group’s experience to help clients identify investment opportunities and create long-term plans to reach their goals. A graduate of Providence College, Jeff is actively involved in community service and alumni outreach. In honor of his mother, he has been motivated to raise money and awareness for Parkinson’s research. Jeff was the recipient of the 2014 Visionary Award from the Neural Stem Cell Institute. Additionally, Jeff has been named to the Forbes list of Top Next Generation Advisors in America for 2017 and 2018. New York Magazine awarded Jeff the Five Star Wealth Manager for 2015 and 2017. Jeff currently serves on the Board of Directors of the Institute of Applied Human Dynamics. Jeff and his wife Joy have three boys and reside in Larchmont, New York. He is an avid sports fan and in his spare time Jeff enjoys traveling, golf and cooking. 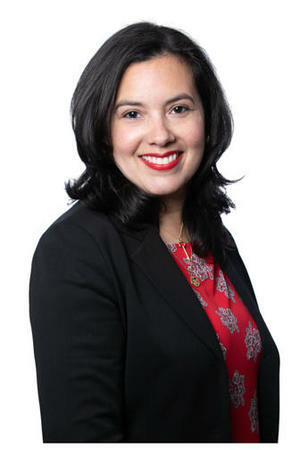 Iraida has been with the firm since 1998. As Group Director, she oversees all administrative items, monitors all accounts and has constant communication with clients. She graduated from Hunter College with a BA in Sociology. She currently lives in the Bronx with her husband and daughter. She holds series 7, 63, 66, 3, 9 & 10 licenses as well as being NYS insurance licensed. 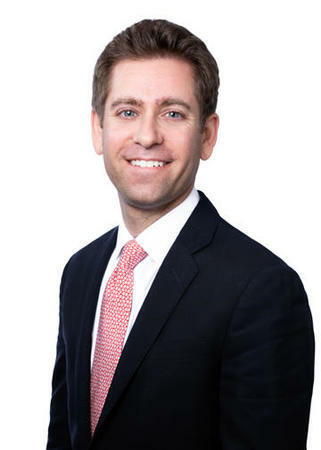 Corey joined the Harbor Group in 2007 as a resource to our clients to facilitate execution in securities, maintain client relationships, and assist in administrative requests. Corey currently prepares life plans for clients, creating a roadmap for their future so that our team can better assist them in meeting their financial goals. He holds a Bachelor’s degree in Business Administration with a focus in Finance from the University of Delaware while also holding a series 7, 3, 63, 65 and insurance license. In the years that Corey has grown with the group, he has also grown his family and is now happily raising two boys with his wife in Riverdale. In her current role as an Analyst for the Harbor Group, Diana focuses on portfolio and investment manager analysis. This involves conducting research and due diligence across equities, fixed income, mutual funds, separately managed accounts, structured products and alternative investments as well as assisting the team with client proposals and asset allocation models. 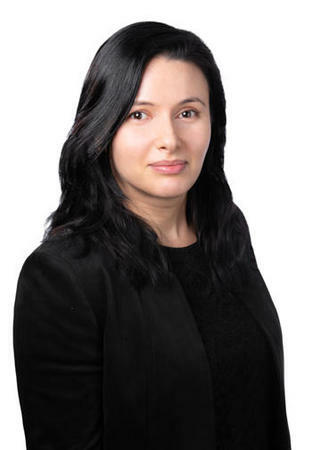 Prior to joining the team, Diana was an Investment Analyst within Credit Suisse’s Private Banking & Wealth Management division, where she helped her Financial Advisors manage both their Equity and Master Limited Partnerships portfolios. She also held prior roles within Mergers & Acquisitions and Structured Products. Diana was a nationally ranked tennis player who trained and competed both domestically and internationally. She lives in New York City and continues to be an avid tennis player. She graduated from Boston University’s School of Management, where she majored in Finance and holds the Series 7 and 66 licenses. 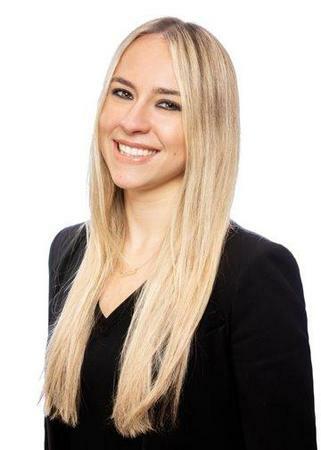 Karina Malinova is a Registered Client Service Associate with the Harbor Group at Morgan Stanley. Prior to joining the group, Karina worked as a Private Banker at JPMorgan Chase and Citibank. With over 9 years of experience in the financial services industry, Karina delivers top notch customer service and excellent attention to detail. As a banker, Karina formed personal relationships with clients to help them identify their unique goals for themselves and their loved ones. As a Registered Client Service Associate, Karina’s primary focus is on providing first-class service and operational support to the group’s clients. She provides fundamental client support in all phases of operational service and account maintenance, including daily processing support for transaction business requests and disbursements. Her exceptional time management and organizational skills help ensure quality service for the team’s clients. Karina grew up in Russia and moved to New York when she was 15 years old. During her free time she enjoys working out and spending time with family. As an avid runner, Karina frequently participates in various half-marathons and completed NYC and Chicago full marathons. She holds Series 7, 63, 65, and life insurance licenses. 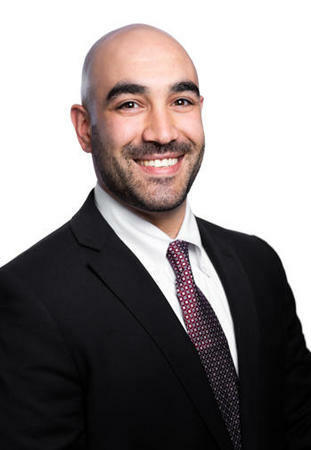 As a Registered Client Service Associate for the Harbor Group, Rich assists clients with trade execution, cash management, account maintenance, and day to day inquires. Prior to joining the team in 2018, Rich worked at Cantor Fitzgerald/BGC Partners for 3.5 years. He holds a Bachelor's degree in Business Administration with a concentration in Finance from Towson University. Rich currently lives on Long Island and in his free time enjoys playing golf, exercising, and sports. He holds the Series 7, 63, and 65 licenses.